Perfect for the airport, just a 5 minute walk away. Norwich city centre is only 4 miles away and there is a park and ride facility. 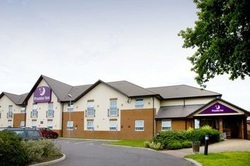 This Premier Inn has free parking and a Brewers Fayre restaurant serving fresh quality meals throughout the day. Book direct for the best Premier Inn Norwich Airport deals.